Currently in its third year, the 15 Bytes Book Awards is an annual program to celebrate the best Utah books in Fiction, Poetry and Art. 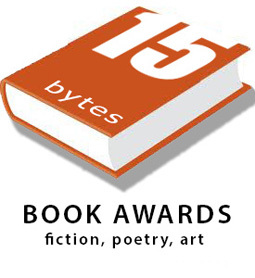 This year’s nominees for the 15 Bytes Book Awards are juried by members of the 15 Bytes staff and guest judges. In May, we will be announcing the winners who will receive a modest cash award. To be eligible for the 2015 15 Bytes Book Award, a nominated book has to be written by a Utah author and/or have a Utah theme or setting; be published in 2014; be professionally published and bound, and assigned an ISBN. 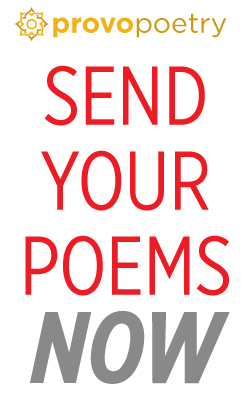 Books were eligible in three categories: Fiction (50,000 words minimum), Poetry (48 pages minimum), Art books (20 page minimum). Today we announce the finalists this year, in no particular order, in fiction. Turn, turn, turn . . . Reading Lance Olsen’s 12th novel, Theories of Forgetting, is a process that requires a degree of dedication and a plan on how to proceed. Pages are split in two with part of the text upside down; some pages also contain marginalia and photographs and the reader is required constantly to turn the book around in his or her hands to access everything. 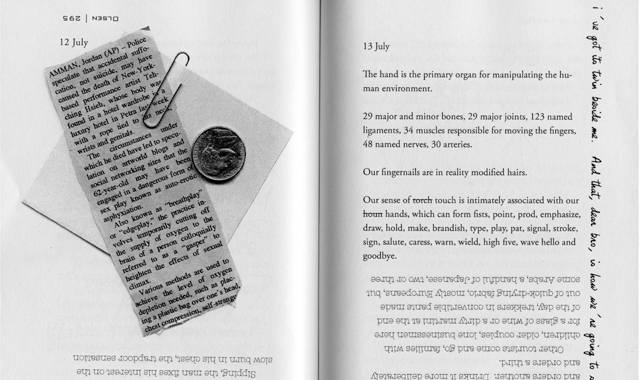 This format happily isn’t for Kindle – it is a process that must be personally experienced, like one of its central themes, Robert Smithson’s Spiral Jetty. Alana, a middle-aged filmmaker, is trying to complete a short documentary about the iconic earthwork before she dies of a pandemic called “The Frost” that is slowly taking away her sensibilities – something we see gradually progress through her mixed-media journal entries. Her husband, Hugh, who owns a bookstore in Salt Lake City, has a series of disoriented travels following her death and is ultimately apparently kidnapped by a bizarre cult. Then there is annotation in blue by their art critic daughter, Aila, who handwrites one-sided “dialogue” on her father’s manuscript to her brother, Lance, who seems to have disappeared from the family at an earlier time. It’s a difficult book on several levels, as experimental fiction so often is. There are three separate but intertwined narratives that involve a constant shift of formatting and demand rapt attention. But the many moments of pure beauty in Theories of Forgetting make the investment worthwhile. Lance Olsen teaches experimental narrative theory and practice at the University of Utah. He is a prolific writer and the recipient of Guggenheim and NEA fellowships as well as the Berlin Prize and a Pushcart Prize. 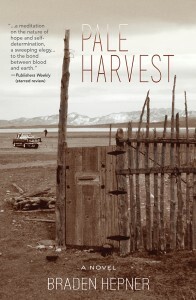 In this debut novel Hepner instructs the reader on the day-to-day drudgery of a small dairy farm in northern Utah. 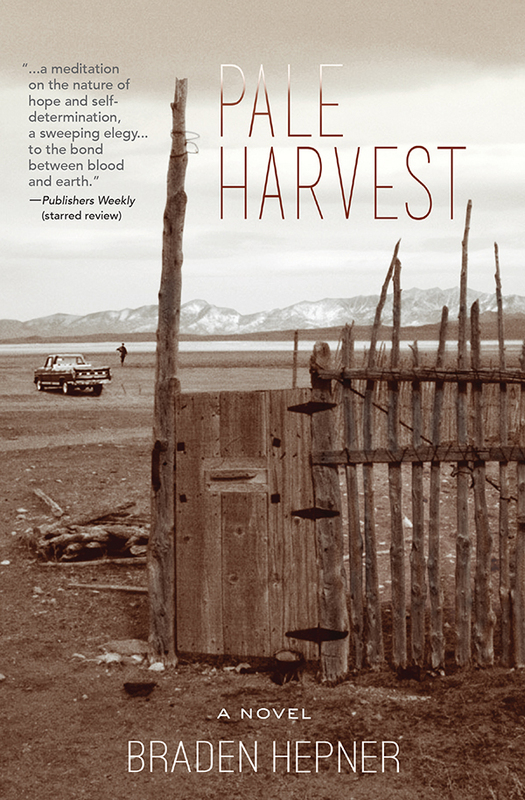 Jack Selvedge, a young man charged with desire to live larger but cursed with no means works and lives on his grandfather’s farm. From this gray setting a stark beauty emerges in small details like the corral sand tinged with dry manure that fans up from a bucking bull’s stomped hoof as it tries to throw its rider off his back. Jack, himself, seems to be a young bull, whipped with the restraints of routine: Fence mending, tractor repair, feeding, plowing, milking, milking, milking. The forever scent of cattle infuses his skin, sinks into his soul. He carries this load around the landscape with his buddies, a cadre of small town conformists all stamping their boots against the earth looking for a break in the fence. A beautiful young woman comes to town and sets fire to the tedium. At once bleak and pleasingly beautiful the novel grows true from pain, betrayal, loss, love, and pale salvation. Originally from Cache Valley in Utah, Braden Hepner graduated from the Iowa Writers’ Workshop and now lives in Idaho with his wife and son. Claire, a convert to the Mormon Church, and her husband Ian, the bishop of the congregation, are busy with their four children and the lives of all the church members. 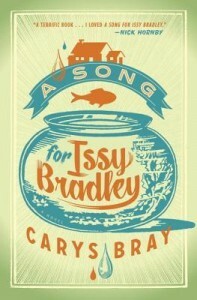 Each member of the Bradley family tells their story as they come together and grow apart after a terrible tragedy strikes Issy, the youngest daughter. Told in moments both large and small, this tender debut novel explores the good and bad of living your religion 24/7. 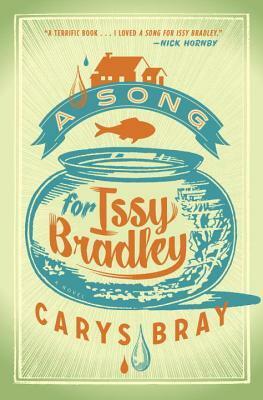 Lyrical, even hypnotizing with its intense and unvarnished look at family and ward life, Bray creates a heart-wrenching and at times humorous tale of an English family completely animated by an American-born faith with important historical roots in Great Britain. These are compelling characters who not only happen to be of a particular faith and co-culture, but who seem to be constructed from it from whole cloth in a way that those familiar with the Mormon Corridor will find startlingly convincing. While appealing to Utahns, Issy Bradley first found an audience–both LDS and secular–in Europe and arguably marks a turning point in Mormon letters. Carys Bray completed an MA at Edge Hill University in 2010. 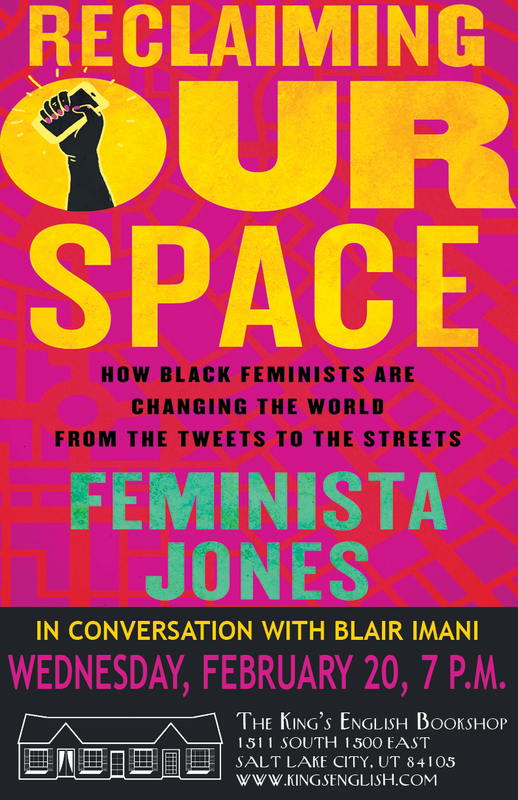 That same year she won the MA category of the Edge Hill Prize for the Short Story, and her stories have since been published in a variety of literary magazines, including an excerpt from Issy Bradley in Dialogue: A Journal of Mormon Thought. She was awarded the Scott Prize for her debut collection Sweet Home. She lives in Southport, England with her husband and four children.